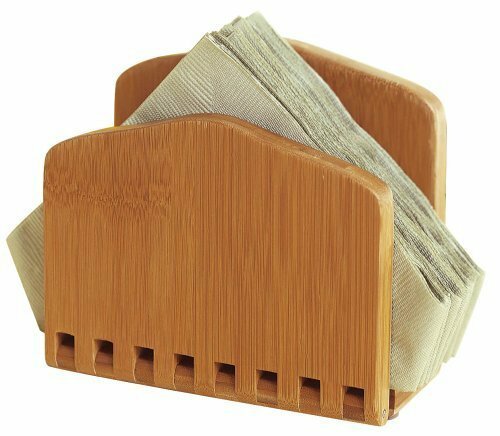 Adjustable napkin holder lets you accommodate larger quantities and sizes of napkins. Compliments your dinner table beautifully. Made from environmentally friendly bamboo. Measures (W x D x H"): 6 ½" x 3 ¼" x 6".